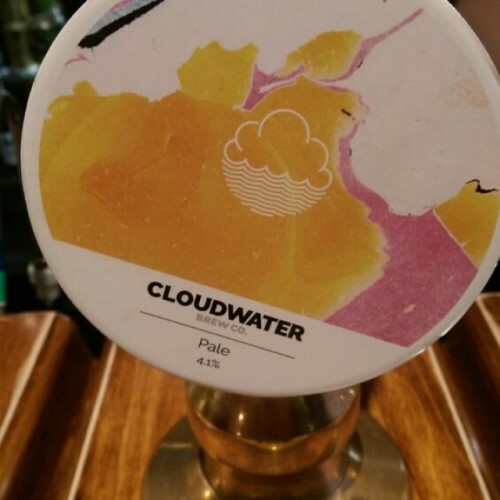 Unless you’ve recently come back from the moon or have been living under the proverbial rock you can’t have missed Cloudwater Brew Co’s arrival. 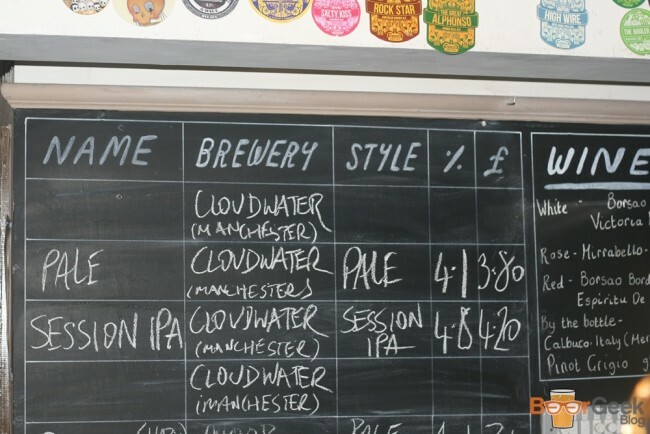 Manchester’s newest brewery haven’t exactly introduced themselves quietly. They’re not starting small with borrowed equipment or in somebody’s shed as most new craft breweries do. 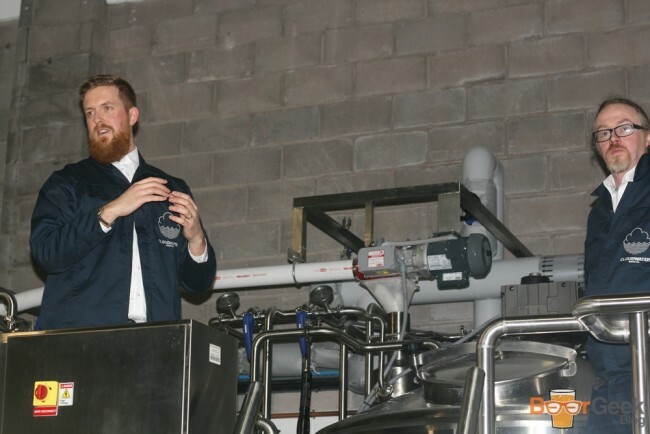 They’ve gone out and bought themselves a brand new, state of the art brewery with very expensive equipment flown in from San Diego, California and brought in top staff with experience working for the likes of Summer Wine Brewery, BrewDog and in the case head brewer James Campbell, Marble. Spending huge amounts of money – rumours say as much as £300,000 – yet nobody knows how it was funded. Again the rumour mill is rife. Not that it matters where the money came from. I did have a problem with the way they were flaunting it though. 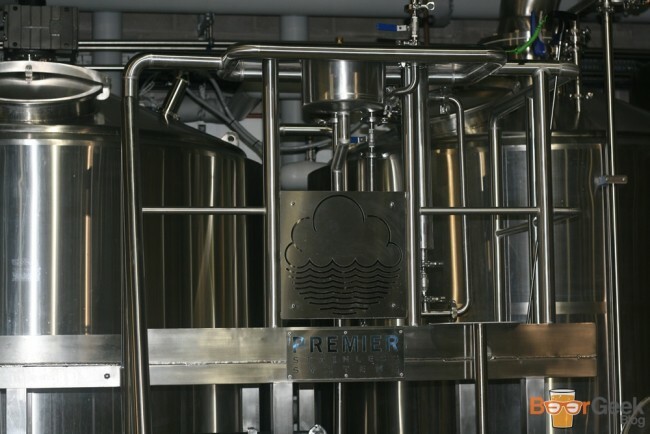 Boasting about being ‘the largest capacity brewery start up in the north’ and shouting about how big and shiny the new equipment is via their blog and multiple social media accounts. 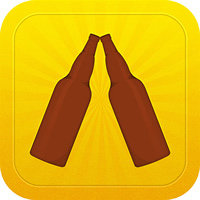 All very well, but but I just wanted to know about the beers! Right up until a week or so before their launch in mid March there was no suggestion that anything other than a single pale ale had even been brewed. 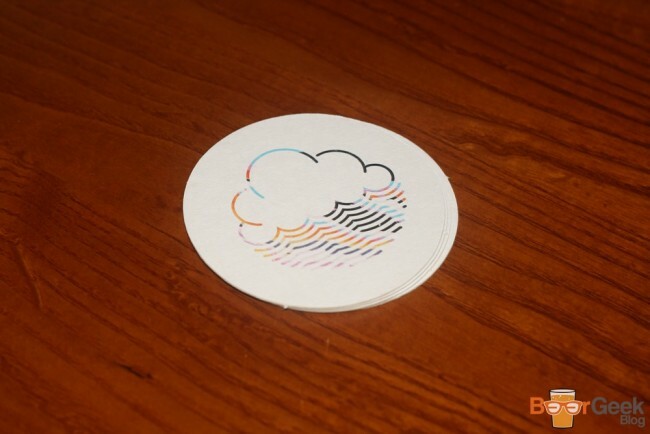 The official launch wasn’t exactly what you’d expect from a brewery either, let alone a brand new startup. They embarked on a ‘UK Tour’ (their words, not mine) like some sort of rock band. 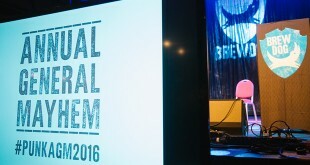 A series of events at some of the best bars in the country including: Hanging Bat in Edinburgh, flagship BrewDog bar in Shepherds Bush and Manchester’s very own Port Street Beer House. Something didn’t feel quite right about a brewery with more Twitter accounts than beers somehow managing to position itself in such high profile establishments. I decided to attend the Manchester launch at Port Street Beer House to see what all the fuss was about. Upon arrival we were treated to a complimentary half of both the ‘Pale’ and ‘Session IPA’. Despite being free I found both to be quite underwhelming. 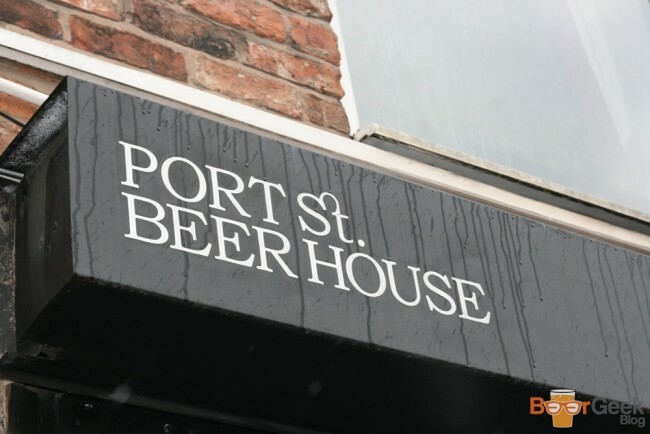 There was nothing at all wrong with them but nothing to make them stand out from any of the other cask ales in Port Street or any other decent pub around the country. The ‘Pale’ was a solid, traditional British pale ale, perfectly pleasant but not very interesting. The ‘Session IPA’ even less so. 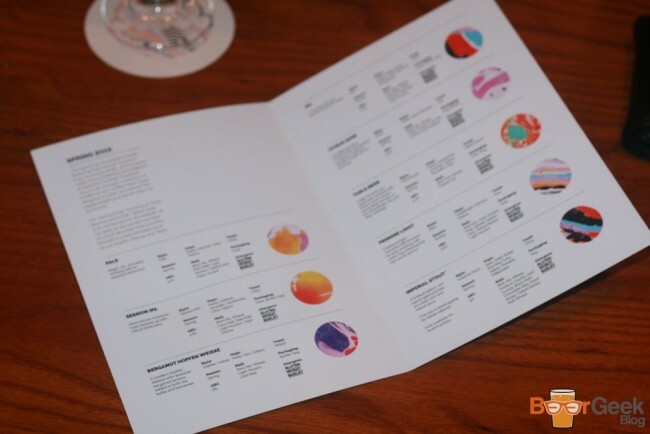 To be honest I was more impressed with the stylish pump clips and fancy menus which felt like they belonged in a luxury boutique or on an expensive coffee table. It seemed a bit overkill for listing eight beers but there’s no denying the branding is beautiful. 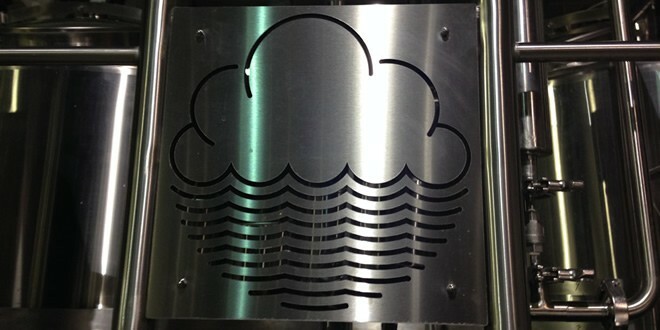 We were then whisked away on posh coaches for a tour of Cloudwater’s swanky new brewery. Located on Piccadilly Trading Estate, ten minutes or so behind Piccadilly Station. 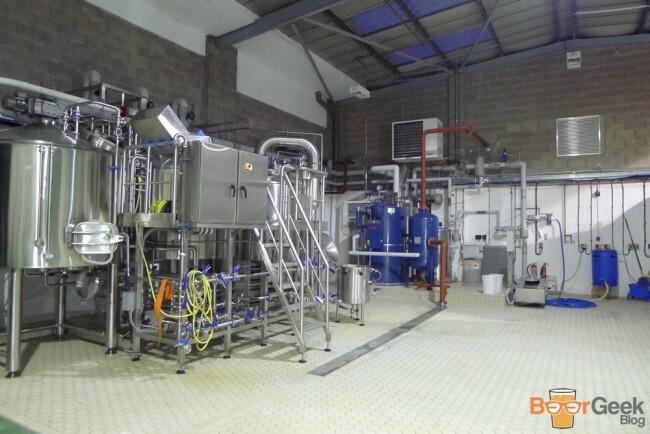 It’s difficult not to be impressed by the sheer size of the place and the quality of the equipment is immediately obvious. I just couldn’t help thinking that it’s all ridiculously over the top to start off at such as scale. I can’t help comparing to a spoilt rich kid buying new toys with Daddy’s credit card or Roman Abramovich in his first year at Chelsea. 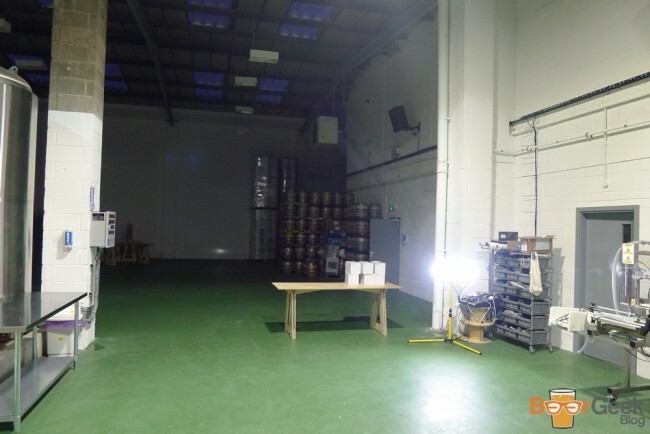 It feels even more unnecessary after visiting arguably Manchester’s finest craft brewery Marble just two days earlier and knowing the quality and volume of beers that they produce from a tiny railway arch with equipment costing a fraction of Cloudwater’s setup. Owner Paul and head brewer James talked passionately about the project, we learnt that all nine of their first brews had been released. They genuinely felt they had no need to make any practice runs on this brand new equipment. I’m no brewer but I found that staggering. Another interesting moment came when both looked sheepish and totally ignored a question about where the money had come from. After collecting a free glass on the way out we were taken back to Port Street where more of their beers had been made available to buy. 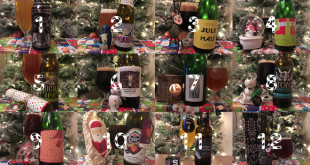 I tried a further six – sort of seven – beers. Some, like the ‘Pennine Light’ were as average as the Pale & Session IPA. Others were a little better like the ‘Table Beer’ a light and fruity saison. There were a couple of real highlights too. Firstly the IPA; I had the cask version and quite enjoyed it, a very decent British style strong (7%) IPA. However when the keg version later came on I couldn’t resist trying it too and thought it was even better. Much more flavour, perhaps a touch sweeter than the cask version and the carbonation gave it more life. Better still was my clear favourite, ‘Bergamot Hopfen Weisse’. A brilliant fruity and citrussy modern wheat beer bursting with flavour from Bergamot lemons. Tasty and refreshing. There was one huge negative though. Their ‘Imperial Stout’ was borderline undrinkable. In fact, if I hadn’t paid £5 for a half of it I would’ve almost certainly binned it. This was the beer I was most looking forward to but it was just plain wrong. Lacking in flavour, depth and body. It tasted like a weak porter rather than a 9% imperial stout. Despite being on keg there was zero carbonation, it was just so flat. Head brewer James was in Port Street by this point and was questioned about the beer but insisted that this was how it was intended. Baffling. I should point out that this was an ‘early release’ of the imperial stout, the rest of it is apparently ageing in Adberg barrels until the Autumn/Winter. It’ll be a totally different beer when it reappears and will no doubt be a massive improvement. It doesn’t change the fact that this version just shouldn’t have been sold. 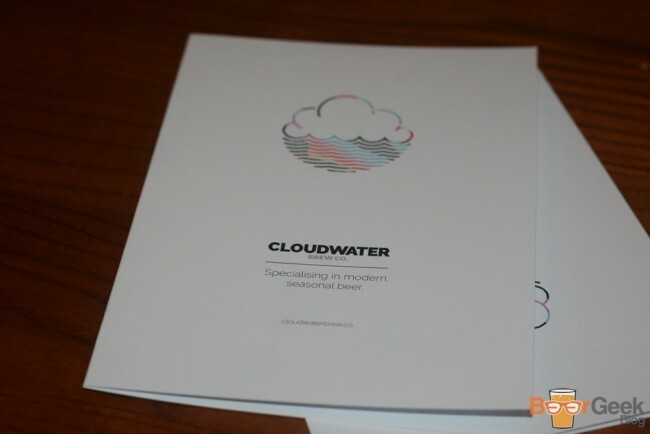 Although I enjoyed the tour and launch overall it was a fairly underwhelming start for Cloudwater in terms of the actual beers, not exactly in keeping with their own hype. I’m not sure I can ever truly respect them for taking the kind of approach they have but at the end of the day it’s all about the beers. 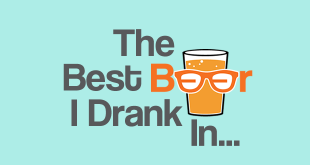 I’d forget all the nonsense if I enjoyed drinking them. But for the most part I just didn’t. The only two I’d happily seek out again would be the IPA and particularly the Hopfen Weisse. I just can’t help comparing to other local breweries like Blackjack and particularly Runaway who started small and released a couple of solid beers with no hype or launch tours. At the moment they’re streets ahead of Cloudwater in terms of quality of beer. 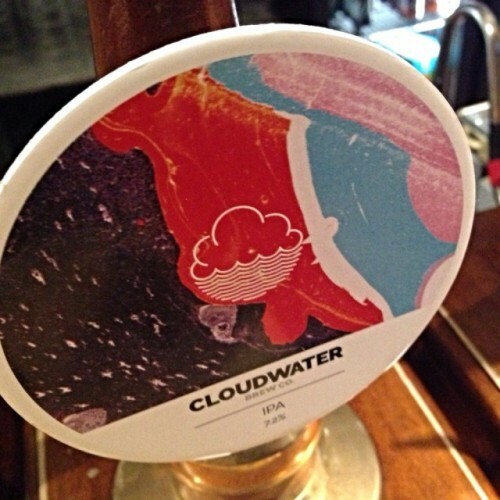 I’m certainly not writing Cloudwater off though and they’re unlikely to be going anywhere. There are rumours that receipes for the Pale and Session IPA have been tweaked since, I even heard that they binned the entire batch of Session IPA after the launch tour. So there’s every chance that the beers will be much improved the next time I taste them. 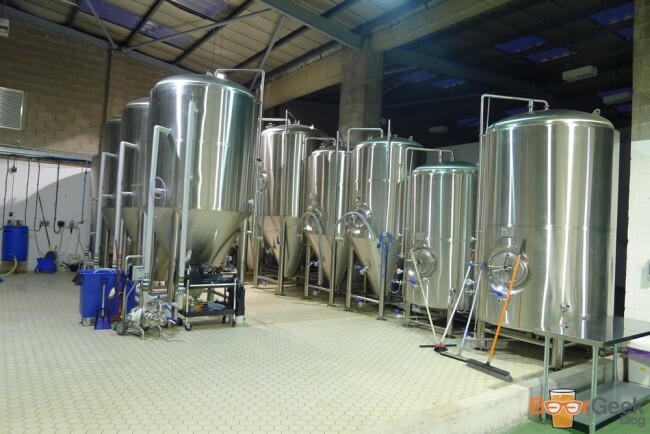 With their kit and James’ reputation I’ve no doubt they’ll be producing top quality beer eventually. I just wish they’d kept quiet until they were. 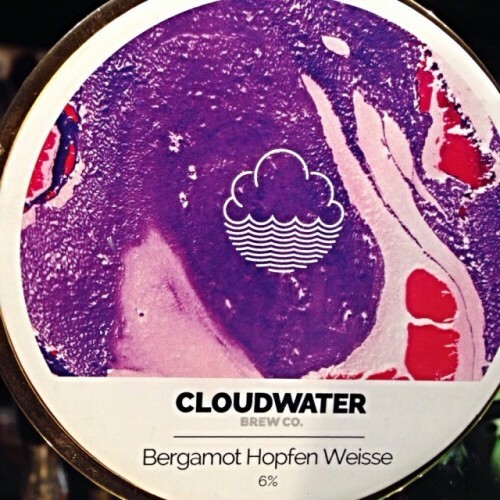 * Update * Due to the delay in getting this site launched I’ve since tasted several of Cloudwaters ‘Summer’ range of beers which launched in June. 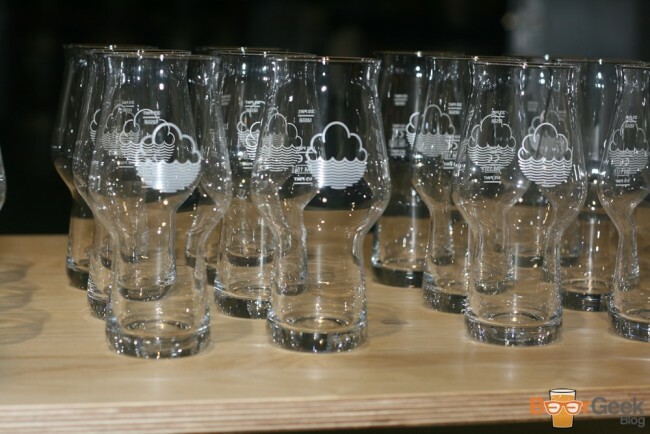 Although I still believe they’ve a way to go and are not as good as their hype, most are a vast improvement on the ‘Spring’ beers mentioned in this post.